Yellowstone National Park may be more than 1,200 miles from Monica Turner’s office in Birge Hall at UW-Madison. But the park is never far from her thoughts. While Turner was raised a city girl and grew up on Long Island just outside New York City, it was her experience as an undergraduate working as an interpretive ranger at Yellowstone National Park between her sophomore and junior years, that set the course for her career. “Up until that point I had thought I was going to be a veterinarian,” she recalls. Instead, she went on to earn a Ph.D. in ecology from the University of Georgia. Today, Turner, a UW-Madison professor of zoology, is a pioneer in the field of landscape ecology and literally wrote the textbook on the field with “Landscape Ecology in Theory and Practice” (with Robert H. Gardner). Traditionally, ecologists had not focused on spatial patterns or studied large regions, both of which are emphasized in landscape ecology. She first came to visit UW-Madison in 1989 after being invited to speak at a colloquium hosted by the university, and by 1994 she had left her position as a scientist at the Oak Ridge National Laboratory in Tennessee and moved to Madison to join the UW faculty. Turner takes her studies on ecosystem resilience in the face of ecological challenges – human and naturally induced — and applies them to landscapes from Wisconsin to North Carolina to Alaska and areas in between including Yellowstone. Her favorite lab space is nature. Yellowstone, the world’s first national park, attracts more than 3 million visitors annually who gather to witness the power rising up in colorful hot springs and giant geysers like Old Faithful. They are spectacles to be sure, but not the ones that most impressed Turner – nor the ones that keep her coming back to the park. Fourteen years after her summer as an interpretive ranger at Yellowstone, Turner found herself back at Yellowstone in 1988 to understand the causes and effects of the massive fires that burned that summer under severe drought and high winds. Today, she continues to study post-fire succession and ecosystem processes in areas burned by those fires nearly 30 years ago. What they’ve learned transformed understanding of fire in western forests. Today, Turner’s research areas are diverse and very far ranging, embodying the Wisconsin Idea, with state, national and even international implications. She has several projects underway at any given time. The one thing they have in common is that they focus on interactions between patterns and processes. In Yellowstone, she also studies other natural disturbances, such as the widespread bark beetle infestations that swept the area in the early 2000s. Turner conducts research examining how climate change may alter the frequency of large fires and, in turn, change vegetation patterns and carbon storage across landscapes of the northern Rocky Mountains. In the Southern Appalachian Mountains, as part of the Coweeta Long-term Ecological Research (LTER) site, she is studying how past and contemporary land use affect forest understory plants and biodiversity. In Wisconsin, Turner has examined potential impacts of increased bioenergy production on terrestrial wildlife, especially grassland birds, in southern Wisconsin in collaboration with the Wisconsin Department of Natural Resources. As a member of the North Temperate Lakes Long Term Ecological Research site in the Center for Limnology, she studies land-water interactions and the impacts of climate change. Her research helps show people how forestland around a waterbody can benefit the aquatic species that live there. She notes, for example, that the wood that is formed in the forests, falls into the lakes, and creates habitat for fish. “So if you like to fish on the lakes in Wisconsin, understanding what is happening in the forest and what happens to that wood really matters,” she says. Turner and UW-Madison colleagues recently wrapped up a Water Sustainability and Climate Project that was funded for five years by the National Science Foundation. This effort focused on the Yahara basin of southern Wisconsin, and Turner was part of a team that worked to understand what the Yahara basin will look like out to 2070 in terms of climate and land-use changes. A major emphasis was on ecosystem services, or the benefits provided to people by nature. The team produced alternative future scenarios (Yahara 2070) and provided the science to understand how the decisions made today will impact the future in the basin, and how to mitigate the consequences of future changes such as climate change, freshwater and clean water. Invasive species is another research area that Turner explores that has local to global impacts. Turner is researching the recent discovery of the Asian jumping worm at the University of Wisconsin Arboretum in Madison. The worm was detected in the fall of 2013 and Turner had an experiment underway by June of 2014 to try to understand effects of the worm on soil. Findings indicate the worm’s effects on soil are rapid, significant and detrimental. She says she now gets emails from people around the state describing what they are finding in their yards and concerned that it may be the Asian jumping worm. “The project shows the importance of being nimble and acting quickly when we detect a problem,” Turner says. Turner also recently received a UW2020 grant award to fund the new UW-Madison Center for Study of Abrupt Change in Ecological Systems to focus on four real-world examples, each related to key natural resources and vulnerable to sudden change: harmful algal blooms that occur in over-fertilized lakes, tree population collapses related to variation in climate in deciduous forests of eastern North America, loss of conifer forests as climate and fire regimes change in western North America, and risk to crop yields with climate warming and declining water availability. Turner’s research provides many opportunities for students to get involved and to get to know her. She says teaching and mentoring are critical roles that she plays on campus. 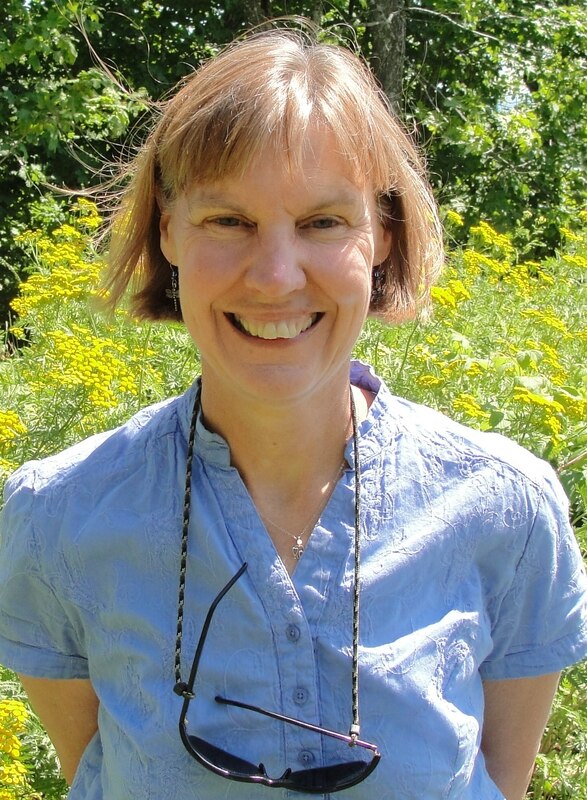 Turner teaches several courses ranging from Introductory Biology to Advanced Landscape Ecology. She also works with her graduate students to help them to develop professional skills to complement their research knowledge, such as communication and presentation skills, writing and publishing, lab management, interacting with federal agencies and NGOs, and time management. Turner also gets a lot of satisfaction out of the service and leadership roles. At UW-Madison she is the Instructional Programs Committee Chair for the Department of Zoology. She’s also a member of the National Academy of Sciences and past president of the Ecological Society of America. Under Turner’s leadership, the field of landscape ecology is thriving at UW-Madison and elsewhere. Like the fires at Yellowstone nearly three decades ago, landscape ecology is spreading, and in its path, generating a mosaic of colorful research like Turner’s that has transformed a field and created a new way of thinking about the world.